1. Ask your Representative to sign onto the letter to the Appropriations Committee Chairman and Ranking Member that Reps. Bergman and Keating are circulating. The deadline for signatures is noon tomorrow. Please see the letter to House Appropriations Committee leaders requesting that meaningful and permanent H-2B cap relief be included in the fiscal 2019 Department of Homeland Security Appropriations bill. The same letter will be sent to Senate Appropriations Committee leaders. ALCC has signed on to this letter. 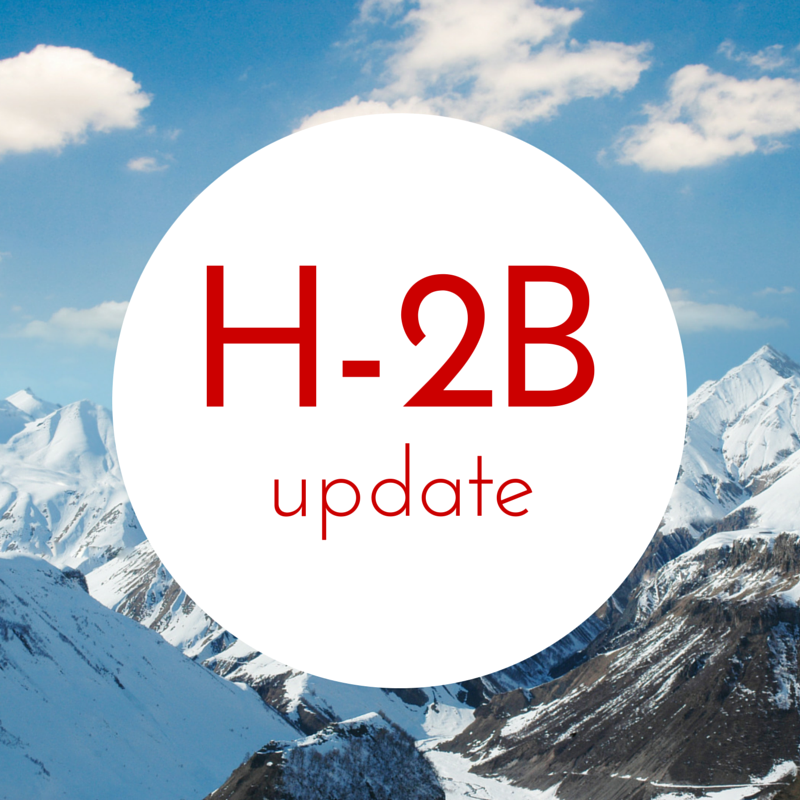 As previously announced, USCIS began accepting H-2B petitions on May 31, 2018, under the temporary final rule increasing the numerical limit, or cap, on H-2B nonimmigrant visas by up to 15,000 additional visas through the end of fiscal year (FY) 2018. The H-2B Workforce Coalition shared a pre-publication of the H-2B rule that will release an additional 15,000 H-2B visas. Below please find the announcement made Friday afternoon, May 25, by the Department of Homeland Security regarding the release of additional H-2B visas. This is earlier than last year's July release of additional visas. We are awaiting additional information and will share it as soon as we receive it. Memorial Day is almost here. Are your workers? We need your help you get the Administration and Congress to address the H-2B cap. As you know, the Fiscal 2018 Omnibus Appropriations Law provided the Secretary of Homeland Security, in consultation with the Secretary Labor, with the authority to release up to an additional 69,320 H-2B visas if she determines "that the needs of American businesses cannot be satisfied in fiscal year 2018 with United States workers who are willing, qualified, and able to perform temporary nonagricultural labor." Yesterday afternoon, the Senate Homeland Security Subcommittee held a hearing on the FY2019 Budget Request for the Department of Homeland Security. The hearing had only one panel and witness, the Honorable Kirstjen Nielsen, Secretary, U.S. DHS. During the hearing, two questions were put forth regarding H-2B issues.